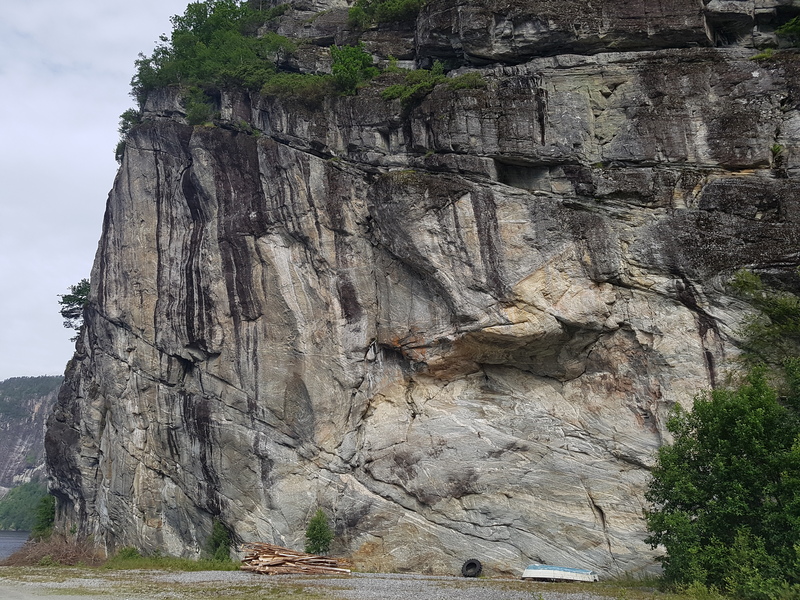 Around Bergen we have a lot of rock. 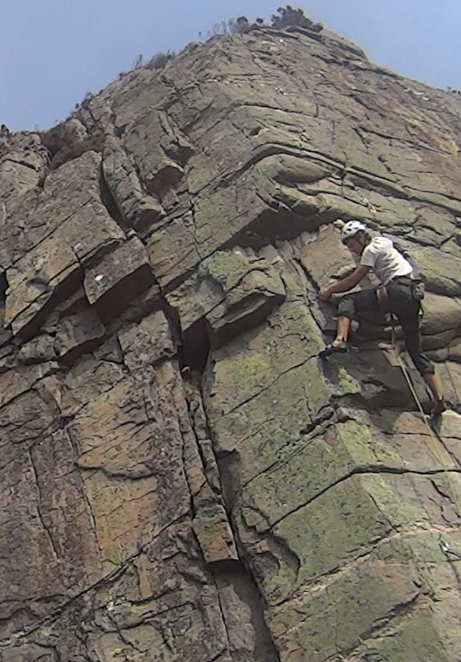 In fact, it’s one of the best places I’ve ever been for summer climbing. 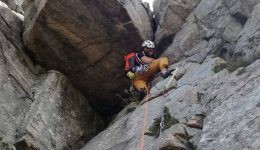 That is a big statement, especially considering that I’ve lived for over a year in Chamonix, that I do a lot of climbing in Northern Spain and that I travel quite often for climbing. 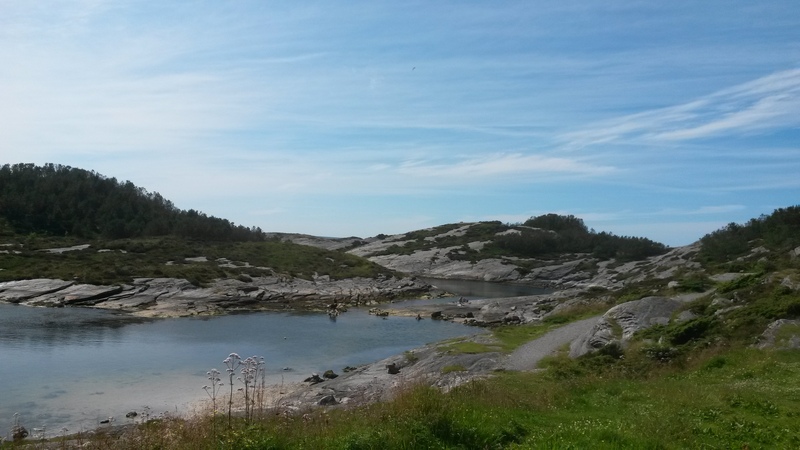 This is the third year that I spend the Spring and Summer in Bergen. 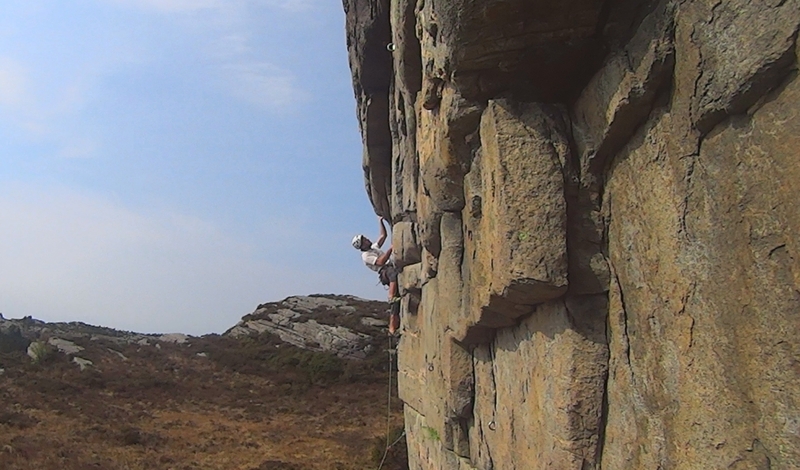 Within forty minutes drive from the city center we can reach over 1000 sport climbing routes spread over 43 craggs. 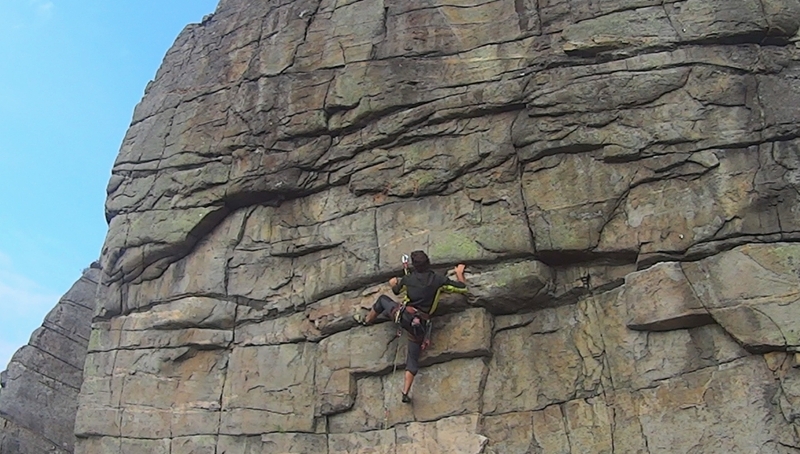 There are about half that amount of documented trad climbs, and there are several bouldering areas. The rock is mainly Gneiss. Wikipedia defines Gneiss as a metamorphic rock composed by the same minerals than granite (quartz, feldspar and mica), but recrystallized stripped in bands, mostly horizontally. 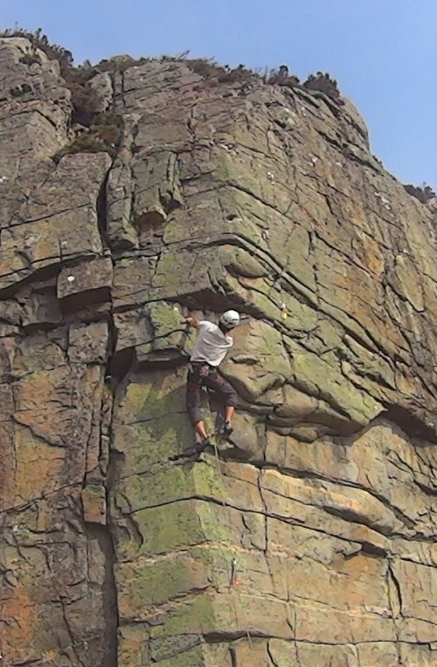 On practical effects for the climbing bum, that implies as amazing grip as granite. 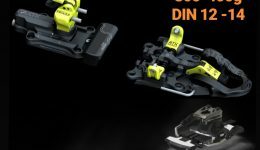 However instead of just finding cracks and slabs, we have a rock extremely designed for sport climbing with overhangs, roofs, bellies, crimps, inverted hand holds, finger cracks and jugs. 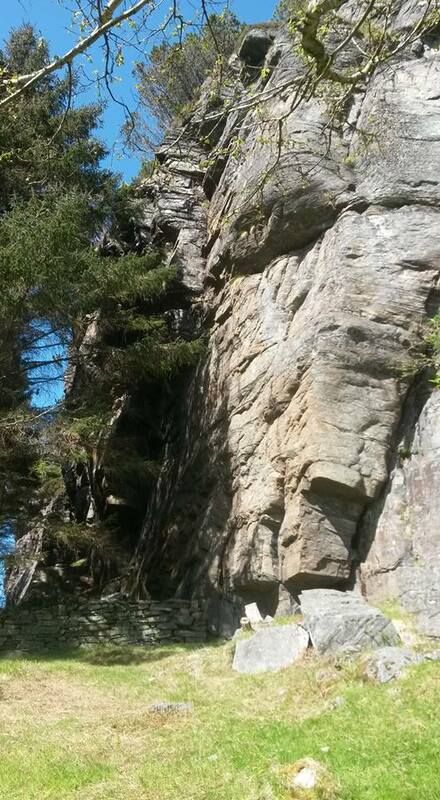 This routes have been climbed for over 30 years and have not lost any of it’s grip. 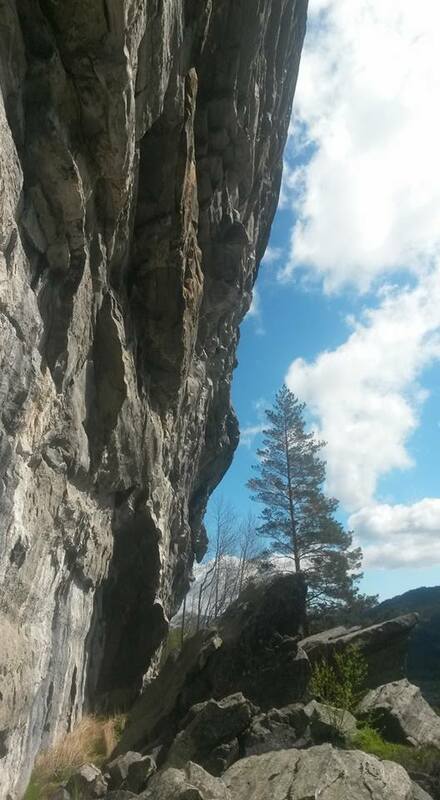 Today we will talk about sport climbing and bouldering. 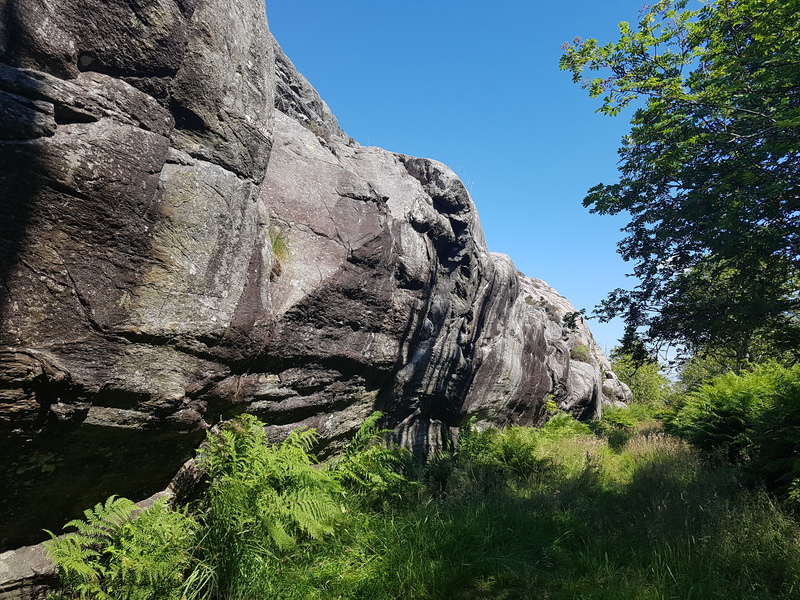 Most craggs are rather small. They don’t generally have more than 10 routes and don’t tend to go over 20 meters. 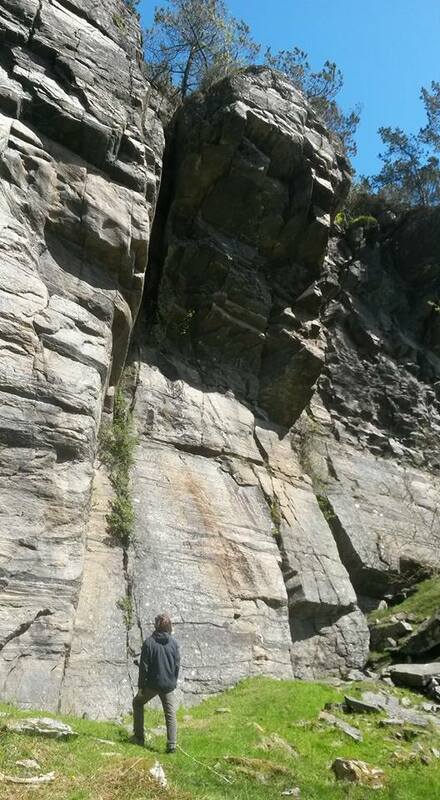 Nevertheless we have as well large craggs and several 35m route pitches. Most sectors are very close from several others. One thing that I like is that most craggs have a very defined style. 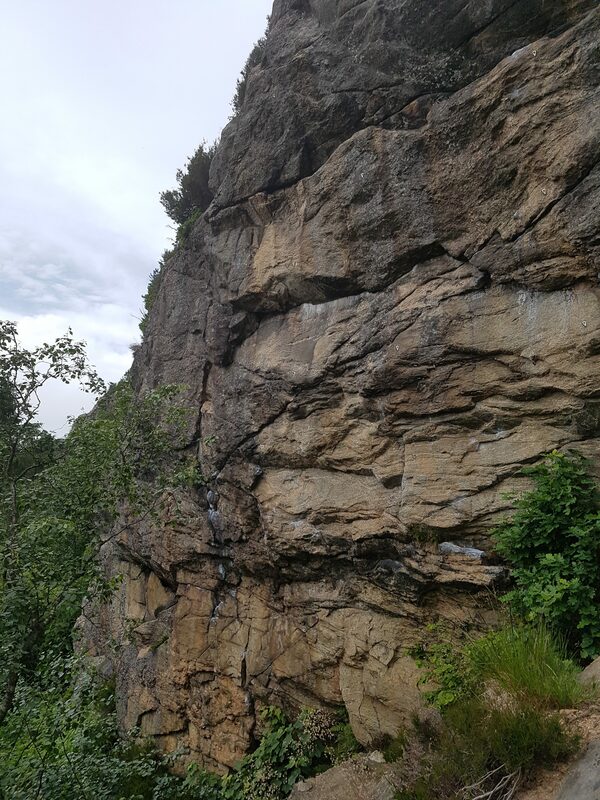 For example, if we feel like climbing on the sixth grade and doing slabs, then we just go to one of the crags that has around 10 routes on that style, like Helleneset or Hellen festning. 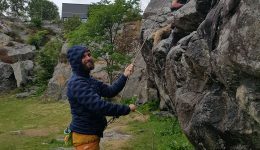 If we feel like powerful and overhanging climbing on the seventh grade, we just go to crags that have that style, just like Furunkulose or Loddefjord. 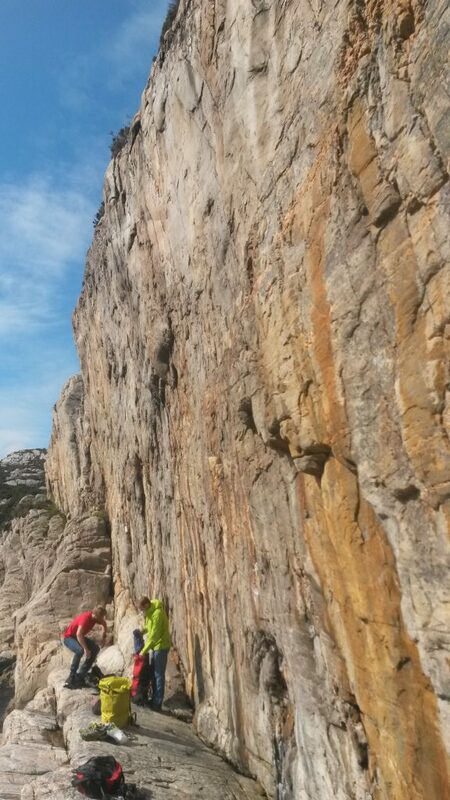 This makes it easy to work a particular style of climbing and we can see big progress in our climbing after a season. But watch out! 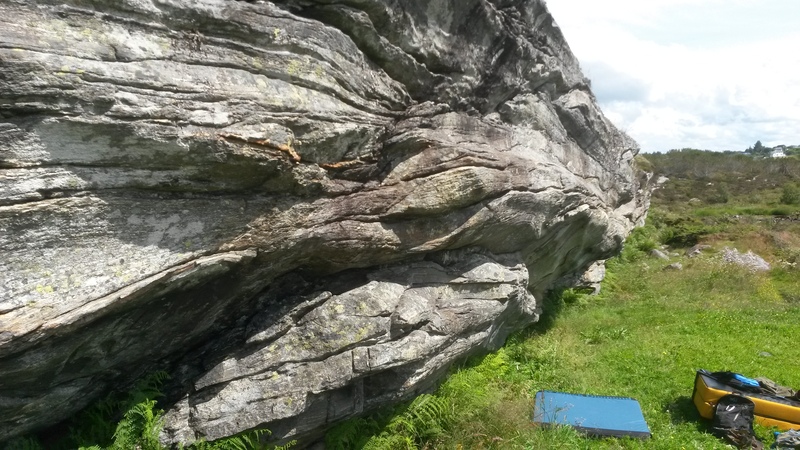 Bergen gneiss is addictive! Every summer at the end of the season, I’m all strong and hyped, and then I come back to the limestone of northern Spain, and I’m never truly comfortable on it, so then I just switch to a more mountaineering plan. 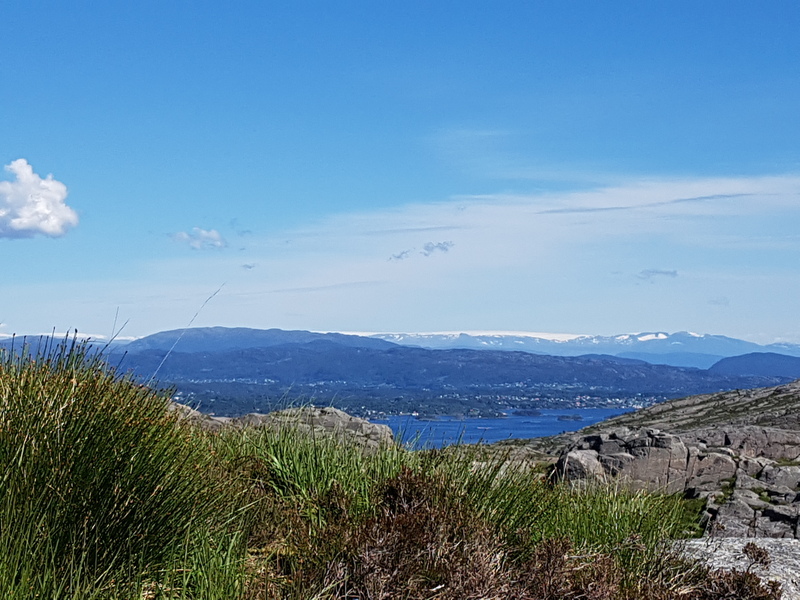 I love summers in Bergen, especially because of the climate. That a rough statement coming from the rainiest city in Europe. 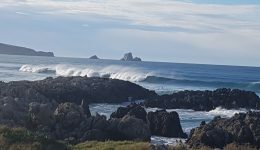 We have around 240 days of rain a year and close to 2300mm of rainfall.Summers can be a lottery, sometimes it’s warm, but in general we are close to 15º and several days we barely go over 10º. 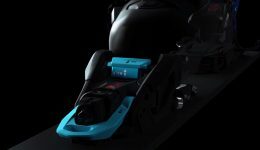 To me it’s kind of the perfect for long activities on the mountains and it’s close to optimal temperature when it comes to skin and rubber friction against rock. We must as well consider that we don’t really have night from mid spring to mid summer, so we can even take multipitch climbs after work. Then we have the rain. This can be a major problem. Especially when it’s stuck for several days. 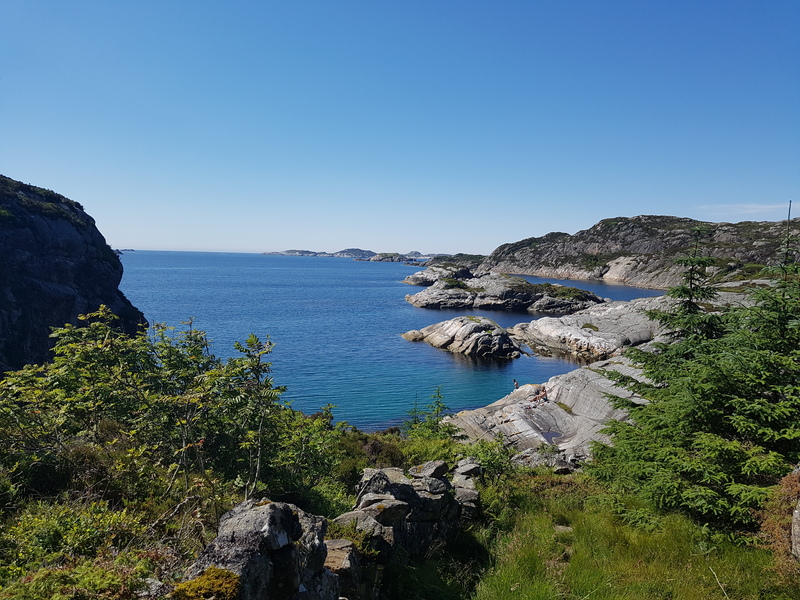 However it is actually true that the Bergen rain is very located on the foothills of the mountains that surround the city center, while most of the climbing happens on the archipelago towards the open ocean, where weather is significantly drier. 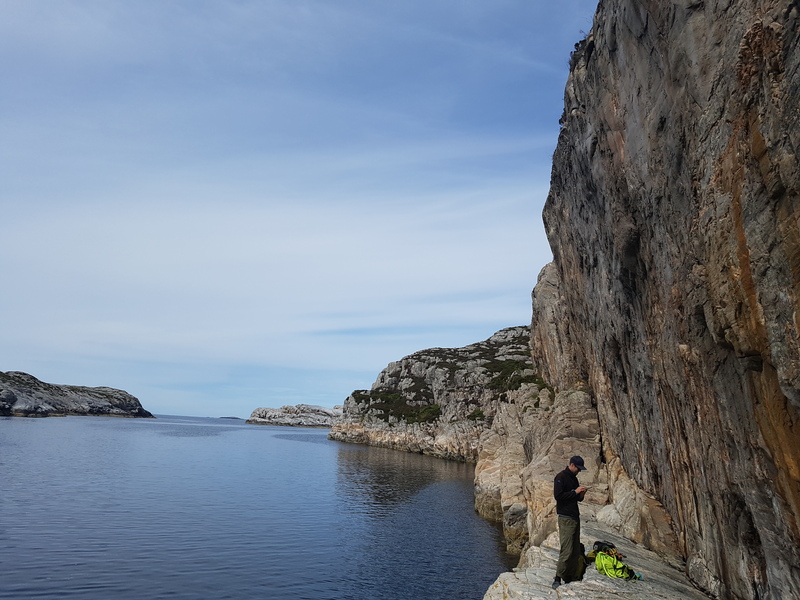 We have several days that it’s raining in the city center, and after work we just drive to the islands of Askoy, Sotra, Oygarden, Nordhordland or towards the fiords on the south and we happen to enjoy a sunny climbing evening. Moreover the rock dries extremely fast under the sun and wind, so we can achieve to climb on short windows of weather. 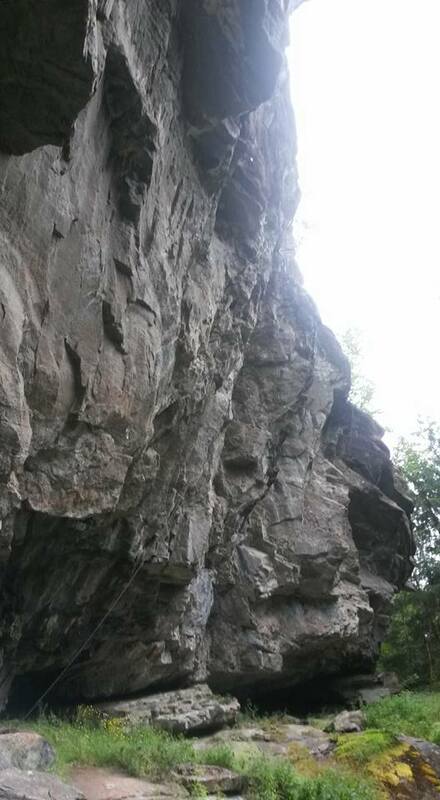 If this still doesn’t work, we have a few cave crags where you can even climb when it’s raining. The scenery is top. 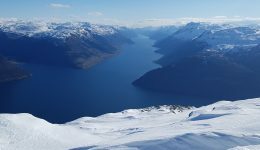 Most of the climbing areas are just by the fjord and on clear days from several you can even get to see glaciers and snowy mountain tops. 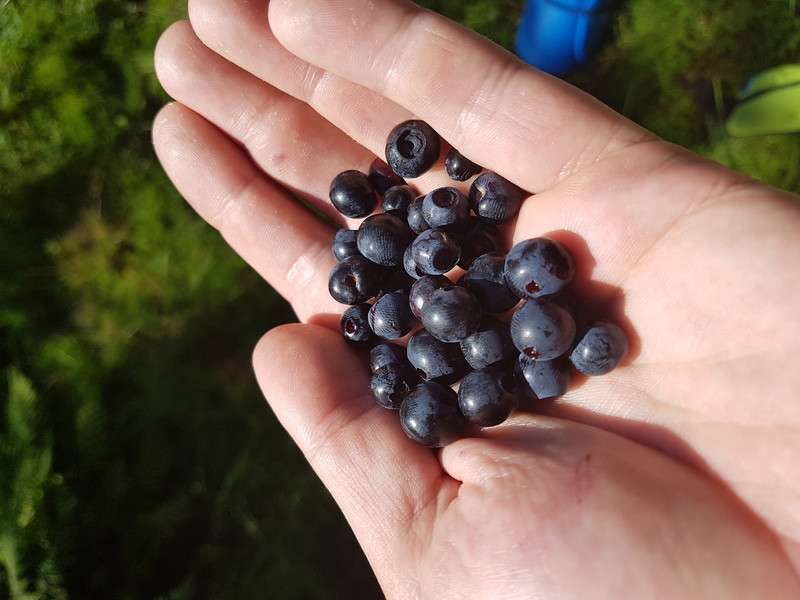 On summer-feeling days is like an invitation to take the day easy, do some fishing between route and route, go for a swim or just wander around looking for blueberries. ONTHEBELAY NW Couloir of Forcanada (Malh de Pois) with summit. 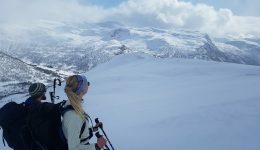 In Norway we have a law that allows you to free camp in non cultivated land, so it’s always easy to find a camp ground by several crags or in the mountains. 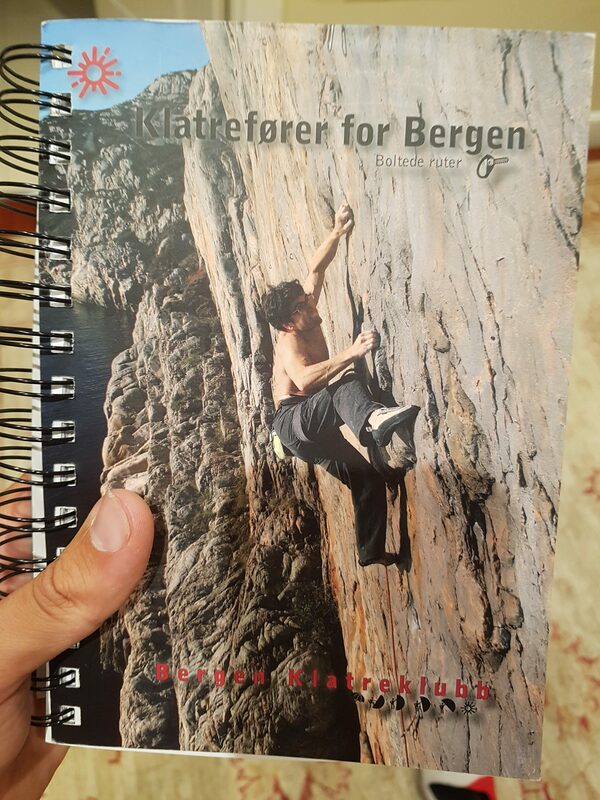 In Bergen we have a big climbing community, mainly gathered on the Bergen Klatreklubb (Bergen climbing club). They have two climbing halls, publish the guide books, keep them updated, do the bolting and rebolting of routes and generally keeping things rolling. 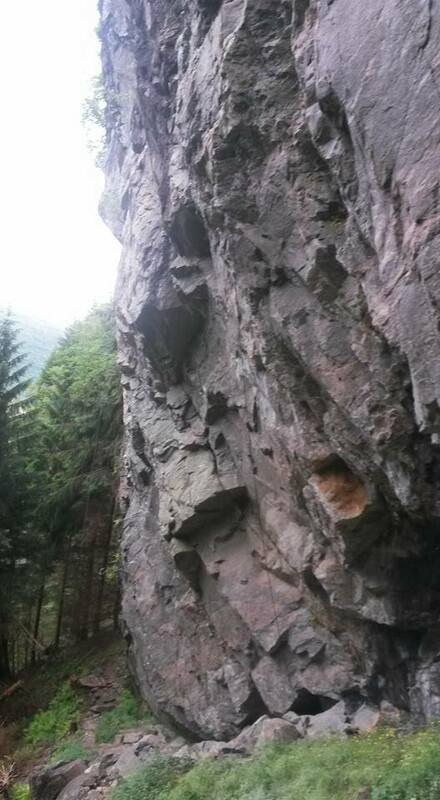 It’s surprising how many strong climbers we have in the area. 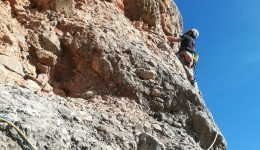 We have several facebook pages that work very well and climbers are generally kind. If we go to one of the climbing gyms It’s easy to meet now people, get to climb with them and get some good tips for planning our climbing around. 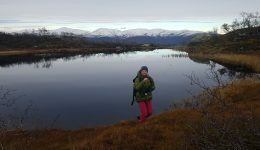 By now, you should be asking yourself why still you haven’t heard of Bergen as a climbing destination. I guess there are several reasons. First, the weather. On any given summer you will be able to climb until you can’t take it any more; but if you just come one week, it may happen that it turns out into a full week of rain. Second reason, the budget. Norway is famous for been expensive, and it actually is. However, organizing things properly, we can manage a trip on a budget. 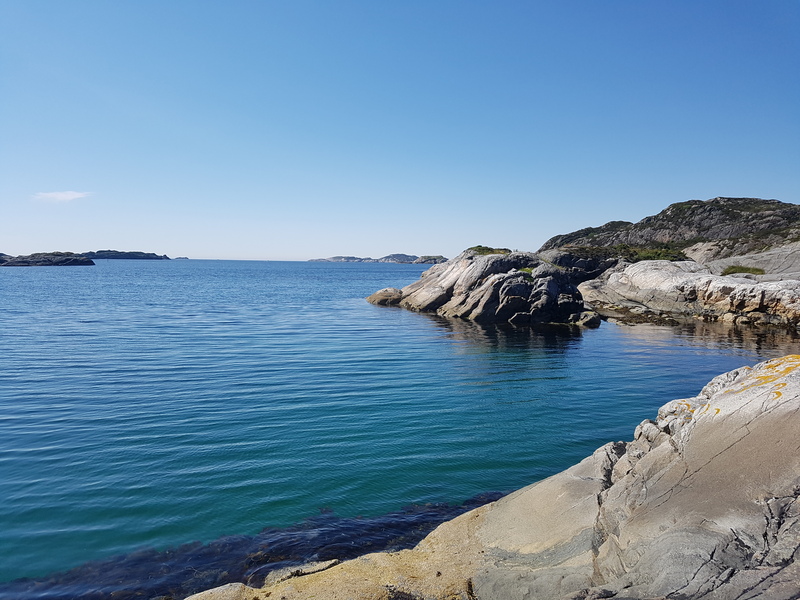 Moreover, people generally come to Norway for a week; then they rather go deep in the spectacular fjords of Hardanger, Geiranger and Sognefjord instead of staying around the archipelago of Bergen. Third reason, Bergen it’s simply not trendy right now. 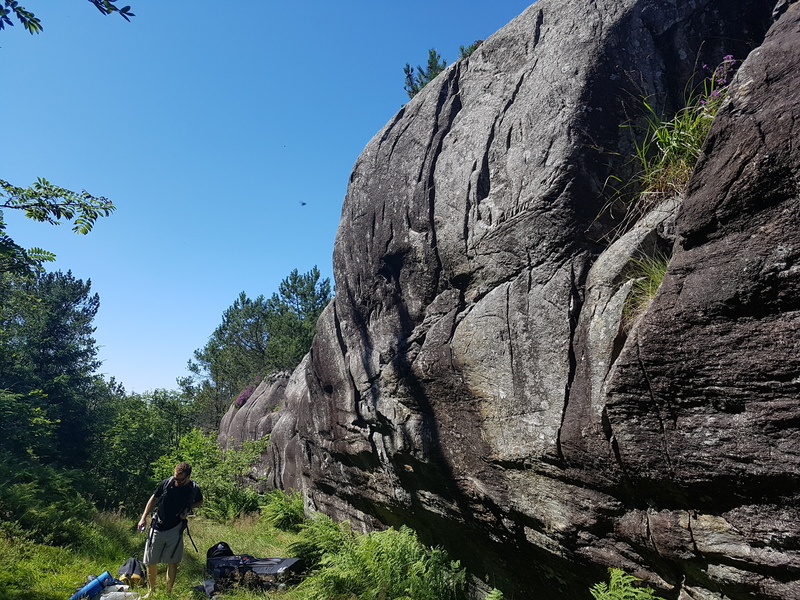 For a medium/advanced climber that gravitates on the sixth and seventh grade, Bergen is one of the best spots in Europe for summer climbing that i’ve ever been to. There is even a high concentration of eighth grade routes. However we don’t have routes on the ninth grade, (at least not send yet), and Chris Sharma hasn’t yet made a video in Bergen. Perhaps that’s what we are missing for becoming the next summer Kalymnos. 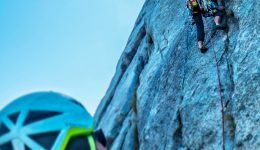 I hope this article got your climbing hype high. 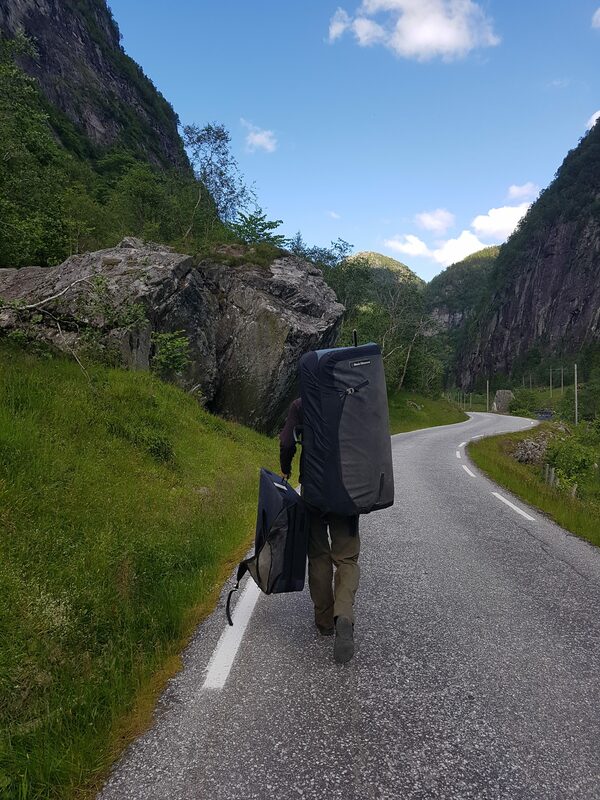 When I’ll gather a bit of time again I’ll publish the second part of the article focused on trad climbing on the Bergen area. 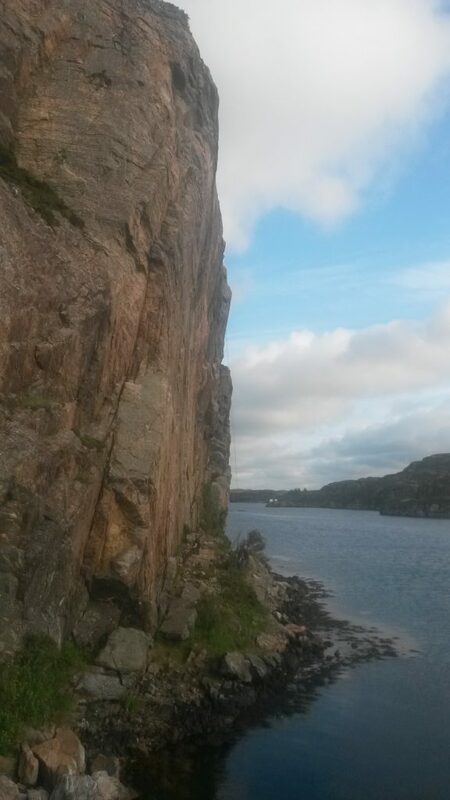 ← First ascent to an unclimbed wall in Norway (220m ; 6b).